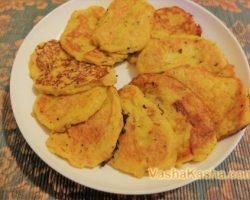 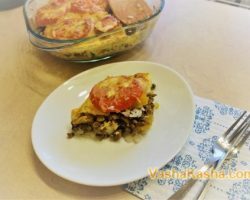 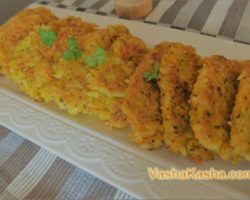 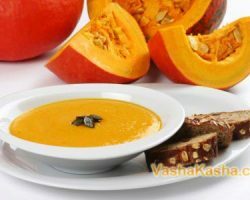 Pumpkin is a very tasty and healthy vegetable, which is used to prepare various recipes. 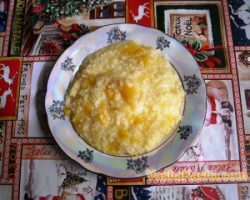 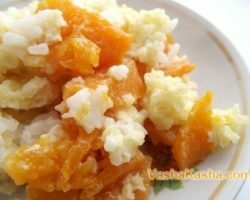 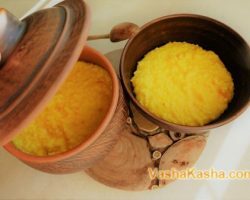 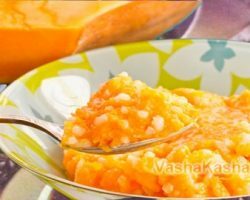 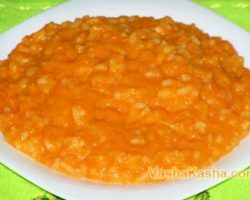 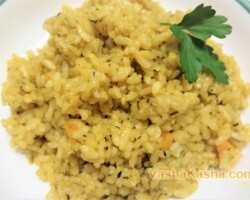 The most famous dish is pumpkin porridge with rice and milk. 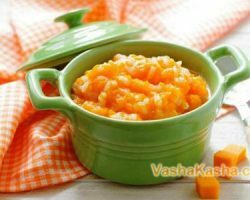 Among its other vegetables, with full confidence, it is possible to name the champion on the content of microelements (calcium, phosphorus, magnesium), minerals and vitamins of various groups. 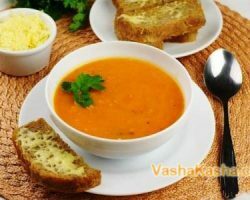 Including, vitamin K, which is not found in any other vegetable. 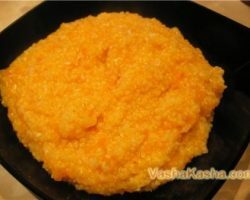 Due to its versatility, not only salty dishes (mashed soups, rice), but also sweet dishes are made from pumpkin. 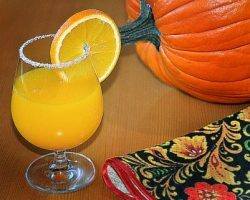 In Austria you can meet in pumpkin coffee, and even schnapps. 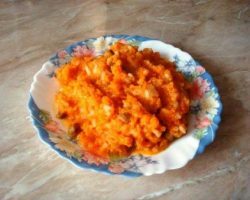 Who among us does not remember the most delicious casseroles and hot homemade pies with pumpkin filling. 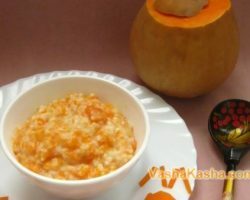 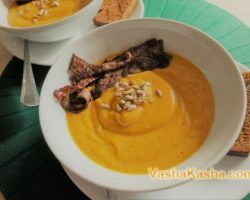 But the first thing that, of course, comes to mind at the mention of this wonderful vegetable is pumpkin porridge.